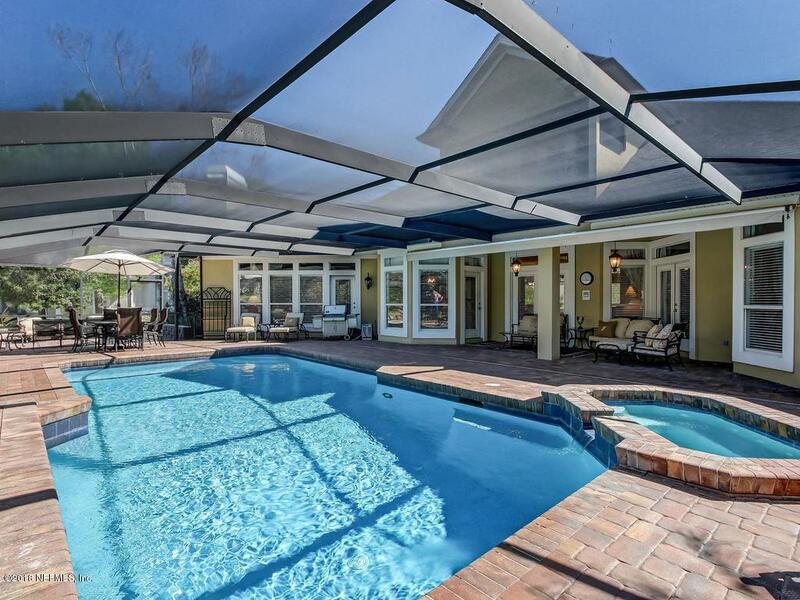 Incredible pool home great for entertaining w/ golf course views from inside the home & pool area. 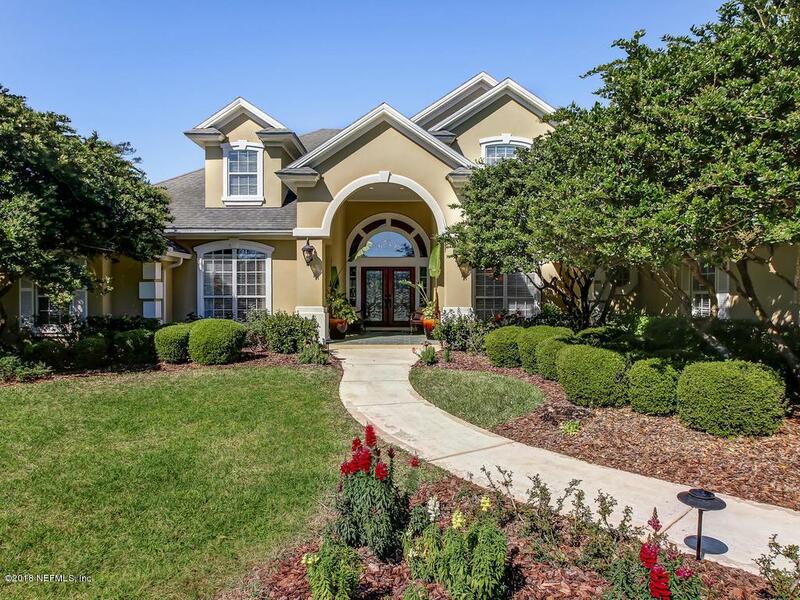 Fantastic floor plan w/ an expansive family & breakfast room that all open to the large kitchen. While cooking in the kitchen you can even see the pool to keep an eye on pool activities. Flexible floor plan w/ 4 bedrooms down including an expansive master suite w/ beautifully renovated bath & an office (or 6th bedroom). Upstairs features guest suite & large bath, bonus rm & balcony overlooking pool & golf course. Tons of storage w/ closets that include storage cabinets. Outside oasis featuring an over sized, screened heated pool & spa that overlook the golf course. 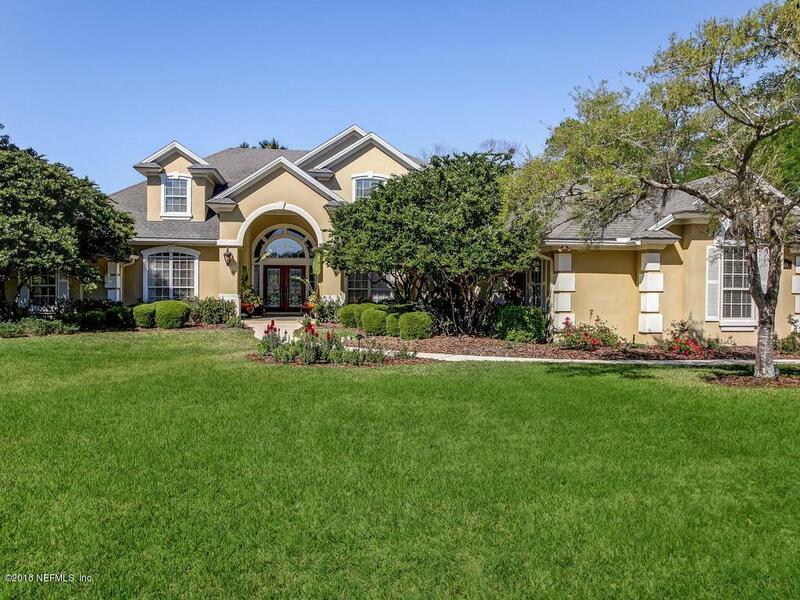 Mature landscaping throughout the yard w/ lots of color, variety & producing citrus trees. $25,000 Roof allowance for buyer.